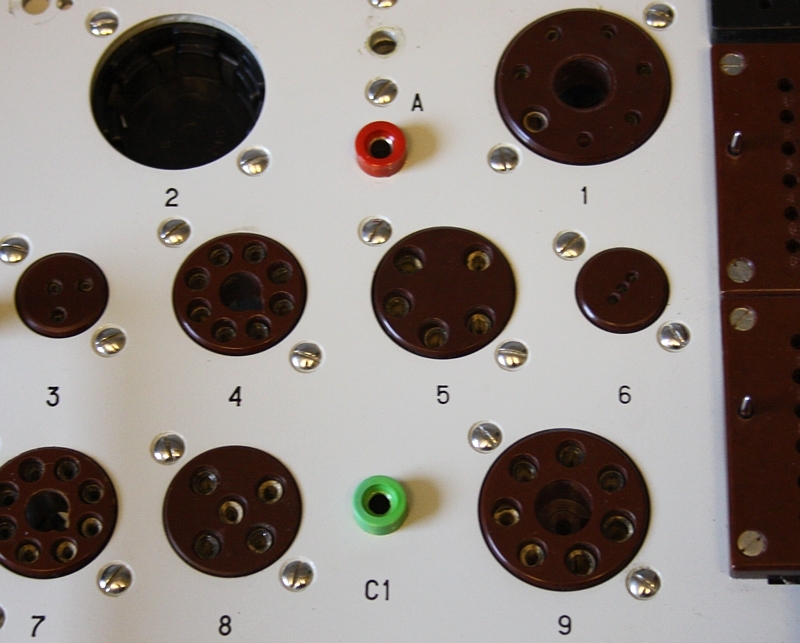 In the deck of the L3-3 tube are five banana connectors, one for ground, two for the grid, and two for the anode. These were not intended for measurements, but to connect a grid cap or a plate cap to. If you want to do measurements, there is an article here about how to connect additional connectors behind a side panel. I was testing a 274B rectifier, with a self made card I just finished, and suddenly the rectifier arced badly. I wondered what I did wrong with the card, but arcing was gone again. This repeated a few times with some other 274B, and since not all 274B can be bad, I concluded my card was bad. Then, while experimenting with the setting of the card, the tester blew the mains fuse. Replacing it didn't help. So I assumed I damaged the tester with a card error. The short circuit seemed to be in the 500 Volt circuit, because after removing the 500V~ pins from the test card, the short circuit was gone. It may seem to easy to find this bad connector, but it was not! 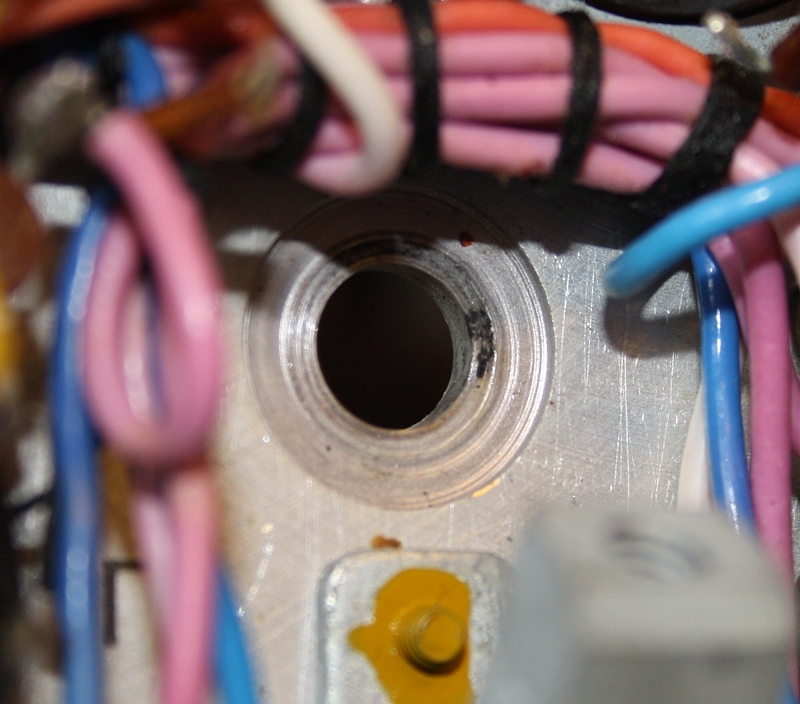 The short was throughout the whole anode circuit, and the cable trees inside are long, and thick. 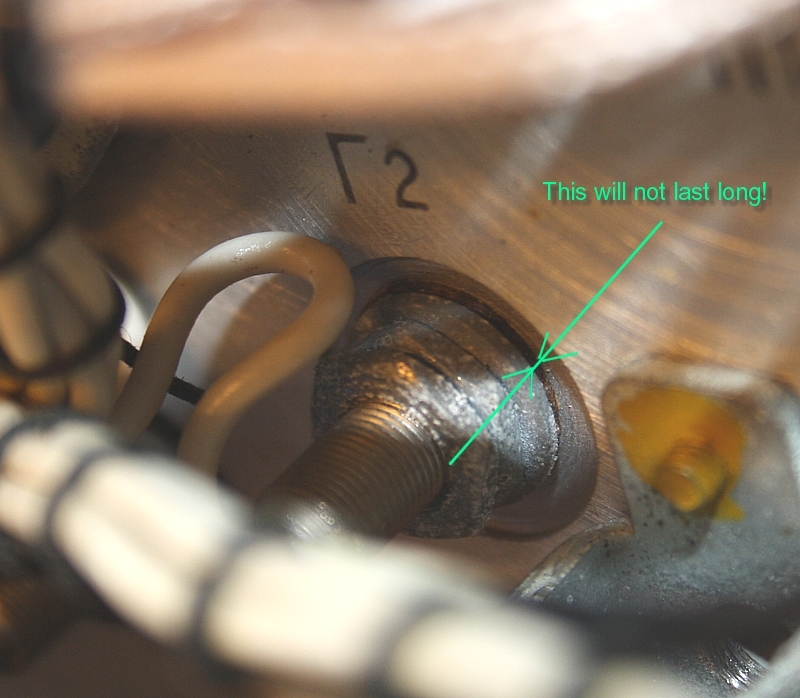 So after a lot of work, desoldering the anode circuit, wire by wire, it lead me to the wire to the "A" plate cap. So my card was good! It was the banana connectors on the deck that shorted. How can this happen? All L3-3 I have seen so far, have a white oxide at the inside, covering also capacitors and power resistors, but this layer doesn't seem to affect quality and good functioning of any part at all, except this one. 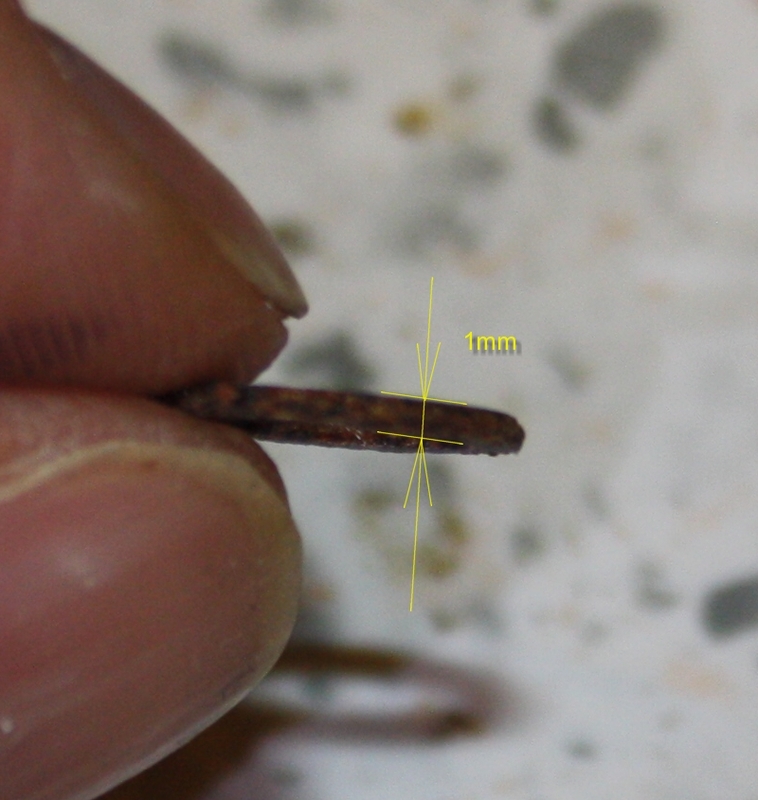 For isolation they used a brown ring which is 1mm thick, and seems made from some impregnated fiber glass. That is generally good material, and it should withstand 500V AC with 1mm thickness, but the error is the creepage path. It is only 1mm too, and that is really not enough for 500 Volts. If some oxide particles are collected, this can cause leakage, and eventually a short. For a high voltage creepage path, I would recommend 2mm + 1mm per 1000 Volt. Most of the time, L3-3 is used for testing amplifier tubes, and then you have maximum 300Volts DC. Now suddenly I was using here 500 Volts AC, which has a peak value of 700 Volts. 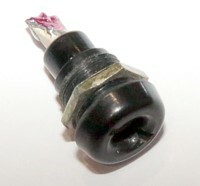 Plate cap connector before removal. You can see nothing, the short is internal. The arc choose the shortest path. You can see the burn spot at the inside. You can see the burn spot to the chassis. This is the G2 socket. Interesting this seems well isolated to me. It has a double thickness ring. So Jac replaced a Banana sockets. Big deal... Why pay so much attention to this?Well I think this is the only real weak spot so far, with the L3-3 hardware. However this is a bad one, because it stays inside like a time bomb, and some day it will go off. As it is directly to the high voltage transformer windings, it will short as long as the tester is on and you have a test card plugged in. These banana connectors are definitely not suited for high voltage. They may short any time, with a low chance, but high damage if it happens. Really quite dangerous. My advise is kick those old connectors out immediately. When they never shorted before that means nothing. Mine also never shorted before. Also the grid cap connectors should be replaced. They will not short at 150V grid, but they can have leakage current and some tubes may give wrong anode current from this, or the anode current may become instable. You may also measure grid current while in fact there is none. Also the "zero setting" for the nano ampere meter, may become instabile because you are compensating this with the calibration before you begin. So any very small leakage on the grid connectors is not what you want. My advice is, when you buy new anode connectors anyway, replace the grid connectors at the same time. 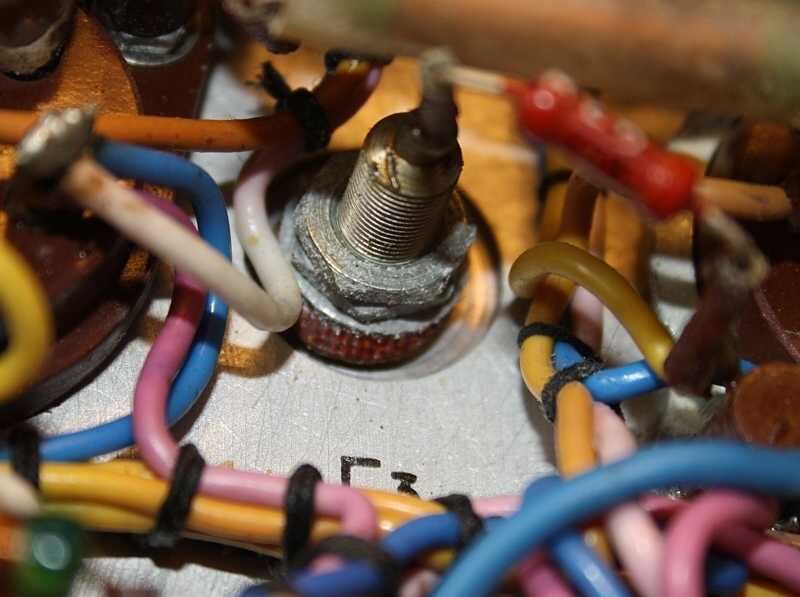 Recommended vintage color coding: Anode = Red, and Grid = Green. The original ground connector you can leave in of course. Cathode = Brown if you want to take the opportunity adding a cathode connector to the deck as well. (link to recommended colors). Use good ones. Like BU4400S by Schnepp, made in Germany. These here from Schnepp fit the thick deckplate ideally. These cost only 50 cents on Ebay. This is another version, found in some of my other L3-3. This is actually a very good one. No need to replace this version. Inside are the same nice bronze contacts as in the tube sockets. 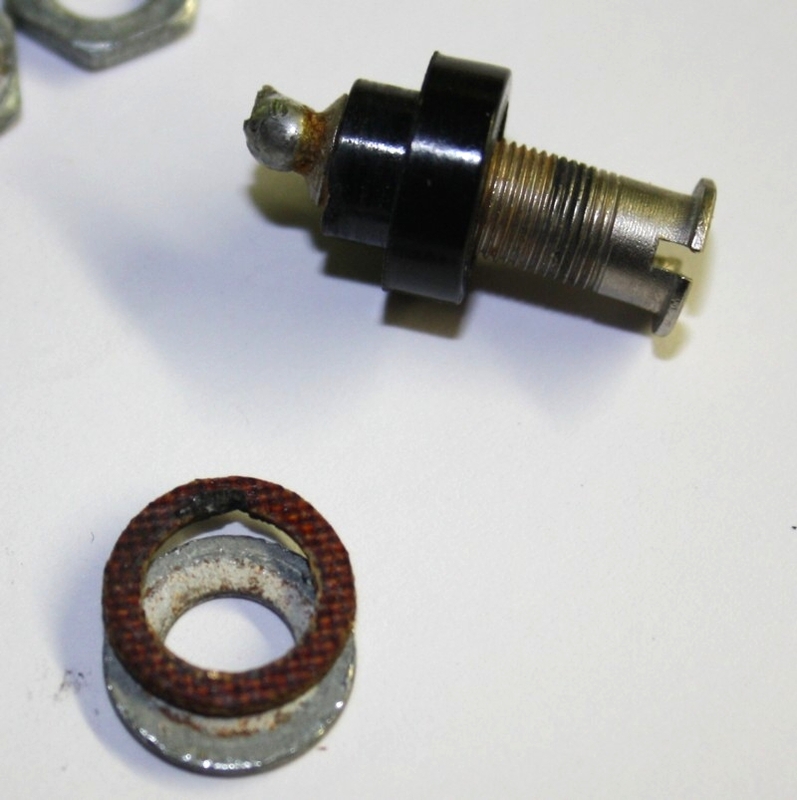 For the difference, the bad ones have this little hard paper plate as isolation, and metal thread. The good ones, have plastic thread.